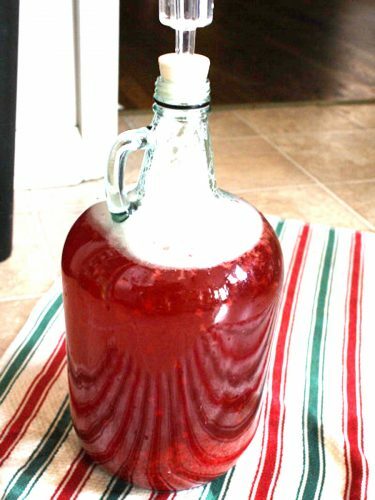 This article was originally posted on March 6, 2016 on my homebrew website, Fat Grey Tom’s Cider. It has been re-posted here with the same time stamp. The Fat Grey Tom’s Cider of old, is, alas, dead. I, Wheeler, moved to New Mexico for a job. Bryce also moved away. Leo stayed in Reno. After nearly three years in New Mexico (three years in July) I’ve decided to start brewing again and the easiest place to restart is with a simple cider. I did the usual. Managed to find some five-gallon buckets from a candy maker ($2 a pop), got some dextrose (corn sugar) and did the usual Great Value apple juice. 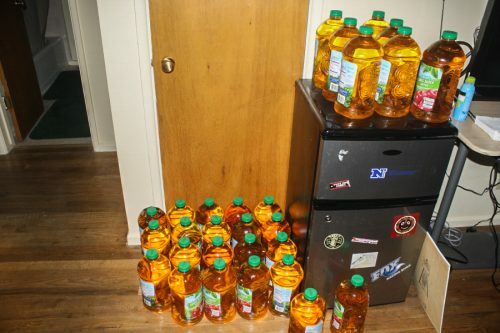 Since I haven’t been able to find any Carlo Rossis, or 4-liter carboys, I went with a 4.6 gallon batch, or 6 containers of 96-ounce apple juice. Still a stand-by, I went with the Nottingham Ale Yeast. I still have as of yet to get any bottles (we don’t recycle in Española) but I’m not worried because I plan on a month or two in primary, same for secondary, for the cider. 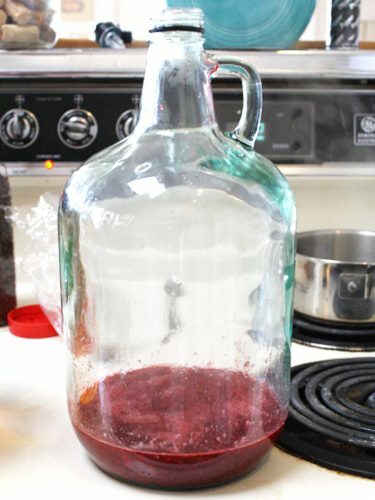 The current plan is to rack this batch onto a few quarts of Trader Joe’s tart cherry juice (something we never did in Reno) or, failing that, rack it on top of some frozen, then boiled, raspberries. Raspberries are a tried-and-true recipe for us, that looks super pretty and tastes purely amazing. 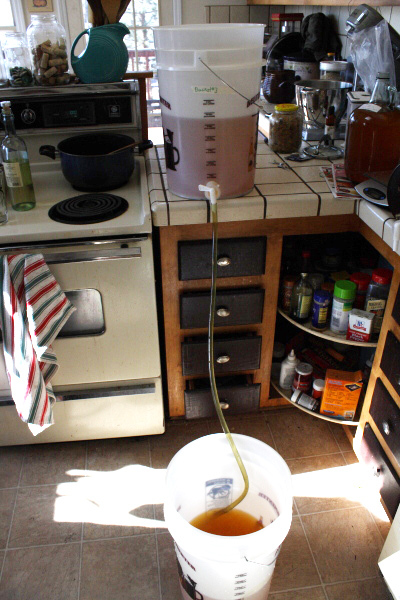 I also plan, at secondary, to rack a new batch of cider on the lees. 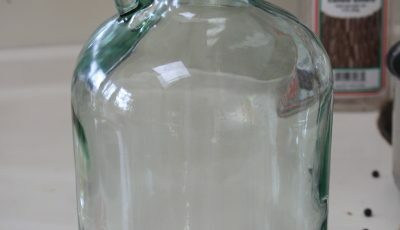 Cider with lid in primary, above. Sani bucket below. 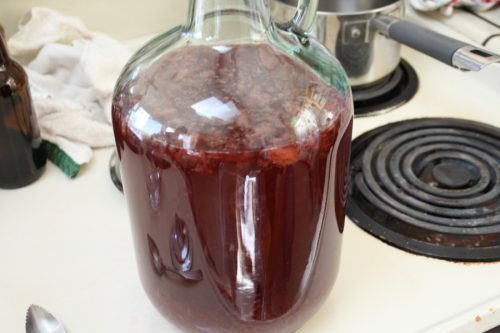 This article was originally posted on March 25, 2013 on my homebrew website, Fat Grey Tom’s Cider. It has been re-posted here with the same time stamp. One of our local homebrew stores was having a sale on yeasts a month, or maybe longer, ago. The yeasts were about to go out of date so they were marked down and low and behold, they were not many common yeasts. In fact, they were all White Labs vials, four of them to be exact. So, I figured if we didn’t use them immediately for beers, we could also use them in a ciders before they went and and see what happened and then wash the yeast, and reuse it when we’re ready to make X, Y or Z with them. I also had a White Labs English Cider Yeast that had been sitting in my refrigerator for even longer but was still well within date. As for the making itself: I boil the corn sugar with a enough water for 5 minutes, stirring until its dissolved, then chuck it into the cider. Sanitation, sanitation, sanitation. I took industrial bleach and soaked all of the buckets, which had been sitting our for quite some time, and then soaked an additional bucket, which had somehow had its insides covered in algae Industrial bleach kills all. We washed them out a bunch of times, put iodophor water in and off to the races we went. First, though, we had to drill holes for bucket lids and sanitize them, as well as sanitize the lids. 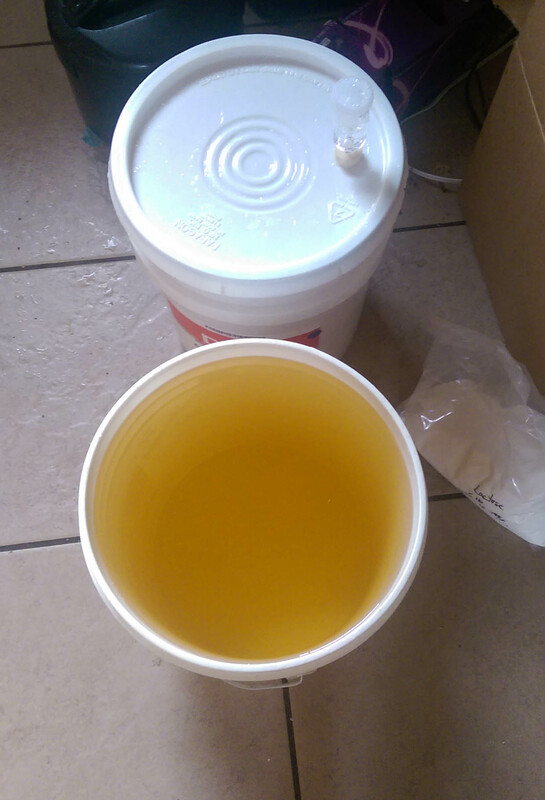 So, I picked up 20 gallons and cider with the intention of using the gallons for the soon-not-so-great yeasts. Fortunately, we still had four 4-gallon buckets laying around as well as a 5-gallon. We hatched the plan, for five 4-gallon batches of cider, thus consuming the 20 gallons purchased and consuming the five vials of yeast hanging out in the refrigerator. Our calculations were a bit off: We forgot that, in addition to the sugar’s boiled water, a 4-gallon bucket can’t really take four gallons without spilling out the top. 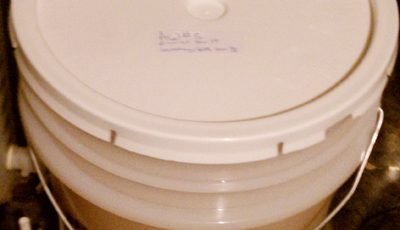 Nevertheless, we soldiered one, made our cider sheets, labeled the tops of the buckets (important, because we hadn’t been doing that as often, leading to a case of unknown-yeast cider in the keg, also remedied by the cider sheets) and put them in the spare room. Our theory is: if they taste great, we keg them. If one doesn’t taste great, this is a super opportunity to try to start mixing ciders and seeing if we can create something tastier, especially because five different ones have all been started at the same time. I can happily report they’re all fermenting and pressurized. At this point, we really don’t know what batch we’re on and they’re their own, seperate thing, although they are using the Apfelwein (AW) sugar ratio. Check back in a month! 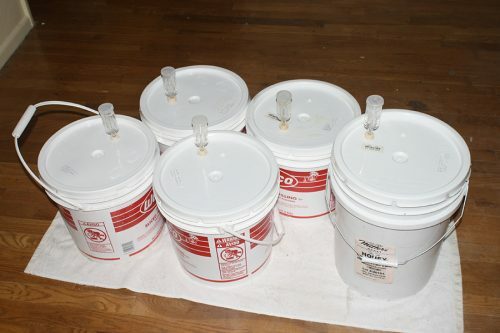 20 gallons of cider in four 4-gallon buckets and one 5-gallon bucket. 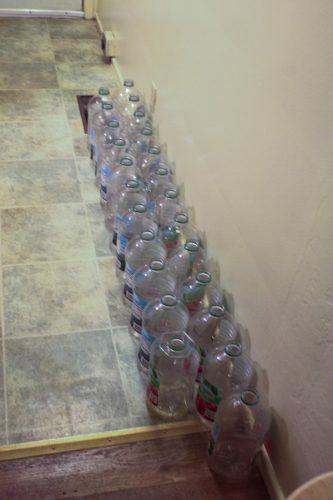 All of the empty juice bottles. 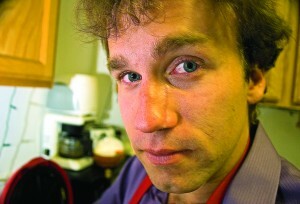 This article was originally posted on Dec. 22, 2011 on my homebrew website, Fat Grey Tom’s Cider. It has been re-posted here with the same time stamp. Sadly, everything tasted like salt to Bryce and I. Sadly, we’re not entirely sure why. Which means the jury’s still out. But over all, it seems to have been a failed 6-gallons of experiment. 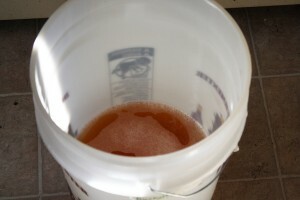 This article was originally posted on Nov. 19, 2011 on my homebrew website, Fat Grey Tom’s Cider. It has been re-posted here with the same time stamp. We used cups instead of grams to figure out how to get our sugar levels right. Otherwise, AW #5 is noticeable for a single reason, besides being our fifth batch of Apfelwein (AW) or sixth batch of cider. That is to say, this time (it’s also the first time) we’re using the Windsor Ale Yeast from Danstar instead of either Lalvin’s EC-1118 or Danstar’s Nottingham Ale Yeast. So, it should be interesting to see how it comes out. In a month. AW #5 in its fermenter. Apfelwein #5C, aka, should be hooch-tastic but will probably just take forever to ferment. I write this because AW #5C (I don’t know why I settled on the C nomenclature for the sixth gallon on normally 5-gallon batches) is only 1 gallon of apple juice but has an extra 1.5 cups of brown sugar added to it. Which gives it a very dark, almost molasses color. Just like AW #5, we added Danstar Windsor yeast to ferment it down. And once again, we had no hydrometer to measure. Alas, alas, alas. That being said, we’ll see how it goes. 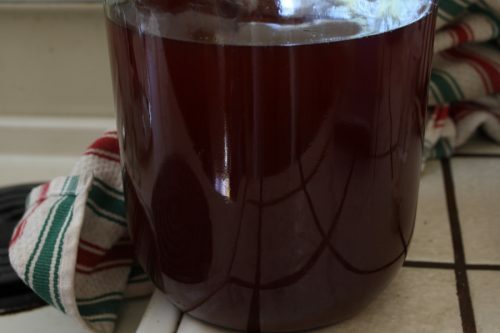 The 1.5 cups of brown sugar gave the cider a very dark color. We couldn’t do measurements in metric because the scale was out of battery. AW #3C was a first for us. We’d read that brown sugar gives a “cidery” taste to alcohol, so, we figured that we’d increase the sugar content of a cider, a 1 gallon batch, exclusively with brown sugar. AC #3C and AW #3 were taken out and taste tested at the exact same time and 3C, aka the Brown Sugar Bomber, tasted completely different from its fraternal big brother. It tasted incredible sweet, which leads us to believe (in lieu of a hydrometer, which was broken when we were first trying to use it) that the yeast hasn’t finished going to town on the sugars. So, it may just need longer in the bottle, since we bottled it. We primed it, and that’s all. No priming sugar. If you look down in tags and look for AW Batch #3c you’ll see the old posts for it. We bottled AW #3C in Becks bottles. AW #3C had a dark hue, which doesn’t come through here. Apfelwein #3, we decided, should be a batch of few things. We bottled AW #3C straight, no lactose, just priming sugar. The other four gallons we stuck into a bucket. In between, we stuck four packages of frozen raspberries that had been boiled for 15 minutes with 6 tablespoons of brown sugar. And, there you have it! As soon as it’s ready, I think we’re all going to be happy. Or, it’ll get drunk be other people and we’ll be stuck nursing the rejects. However, we plan on tertiarying it for at least a week to let the residuals settle. The raspberries with a little bit of water and 6 tablespoons brown sugar, boiling for 15 minutes. Bryce posing with the fermenting bucket and the secondary bucket. 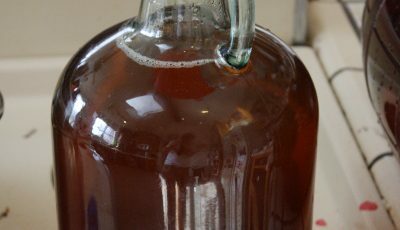 This article was originally posted on Nov. 1, 2011 on my homebrew website, Fat Grey Tom’s Cider. It has been re-posted here with the same time stamp. The Winter Spice Graff appears to have been a mistake. Graff, by itself, is great. Add raspberries (we added raspberry liqueur) and it tastes incredible, something you’d be willing to buy. Allspice and cinnamon do not make the Graff taste good. In fact, the opposite is true. Alas, when we added allspice and cinnamon, the Graff took a turn for the worst. No, no, it took no turn. It went from being good to being an abomination. We learned our lesson. Keep the cinnamon and spice and some things nice to the Apfelwein only. I won’t put the recipe up because it’s not worth replicating. But not, perhaps, perhaps, perhaps. 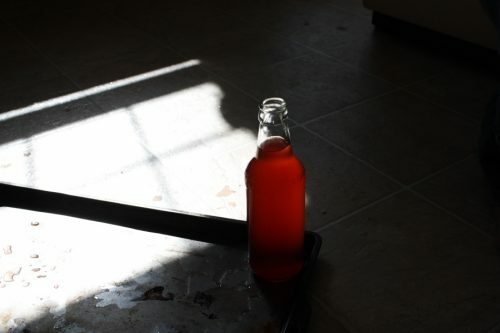 This article was originally posted on Oct. 18, 2011 on my homebrew website, Fat Grey Tom’s Cider. It has been re-posted here with the same time stamp. We had blackberries, frozen, on hand. Apparently, much like the Python’s elderberries, they do not go well. Unlike our raspberry concoctions, the blackberry cider didn’t taste very good. It was always good enough to be drunk, but no more. We argued over who had to drink it. Just, we don’t make it again, unless we’re proven otherwise. Maybe ageing will make it better. A bottle or two is sitting in our ageing cabinet. The frozen blackberries were boiled for 15 minutes with a tablespoon of brown sugar. Our raspberry experiments are proving to be wildly successful. Our first batch of raspberry racked cider, made with a wine yeast none-the-less, is all gone because it just tasted so damn delicious. It also made pretty pictures. We’re working on four gallons, but made with Nottingham Ale Yeast. Raspberries were boiled (12 oz. of raspberries per 1 gallon) (Trader Joe’s had the best deal at $2.50 per 12 oz. bag) with 1 tablespoon of brown sugar and then put into the racked cider. We then let it sit for about two or three weeks before bottling. The cider racked on the raspberries, right after they’d been boiled. Raspberries before the cider has been added. The raspberry cider after it’d been sitting for weeks. Isn’t it pretty? It’s been bottled in Newcastle bottles.